1. In a small saucepan with a tight-fitting lid, heat the milk, sugar, Turkish coffee, salt, and 1/2 cup of the heavy cream over medium high heat. As soon as the mixture reaches a simmer, remove from heat, and cover tightly with the lid. Let steep for 30 minutes. 2. Place the remaining 1 cup of cream in a bowl. Prepare a fine mesh sieve on top of the bowl and an ice water bath underneath, and set aside. 3. Whisk the egg yolks together in a separate bowl. Set aside. 4. Uncover the Turkish coffee and milk mixture and return to a bare simmer. 5. Whisking constantly, pour the milk gradually into the egg yolks to temper and return to the saucepan. 6. Cook the milk and yolk mixture over medium heat stirring constantly until the mixture thickens and can coat the back of a wooden spoon. Remove from heat immediately and pour through the strainer into the remainder of the cream. 7. Add the vanilla and stir to cool. 8. 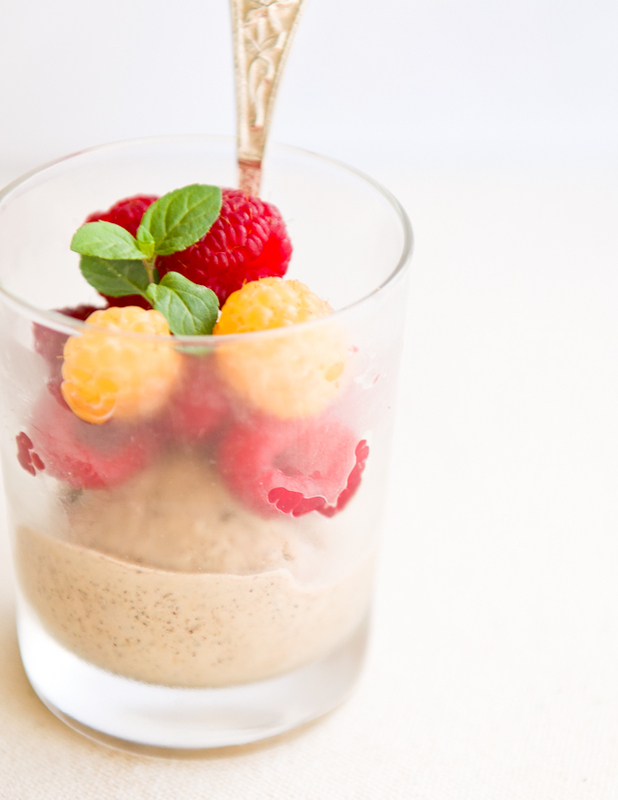 Chill the mixture thoroughly in the fridge, then freeze it in your ice cream maker of choice. Finish the ice cream in the freezer for a few hours if it is still soft. Note: if you don't have Turkish coffee, substitute using the same amount of very finely ground coffee and 1/4 tspn ground cardamom. 1. 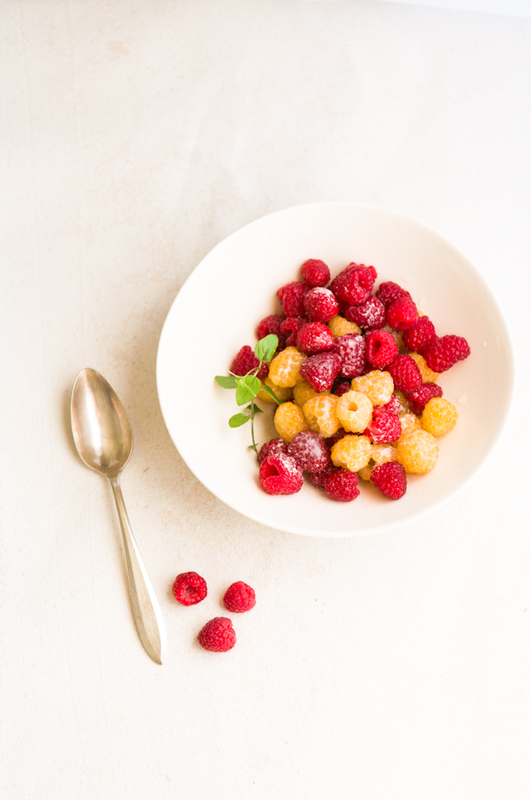 Toss gently to combine the raspberries, sugar, rosewater, and lemon juice. Let sit for 15-30 minutes, and serve over Turkish coffee ice cream. This recipe sounds incredible! I love the idea of bitter coffee flavour with an ice cool creamy texture, and since The Perfect Scoop is my absolute ice cream bible so I'm sure it tastes as good as it looks! Beautiful photos too. I'd not have thought of combining raspberry with coffee, but definitely want to give it a go now. I totally agree with the long recipe development process for some flavor pairings that sound good on paper but...don't materialize in the kitchen until ages later, for whatever reason. 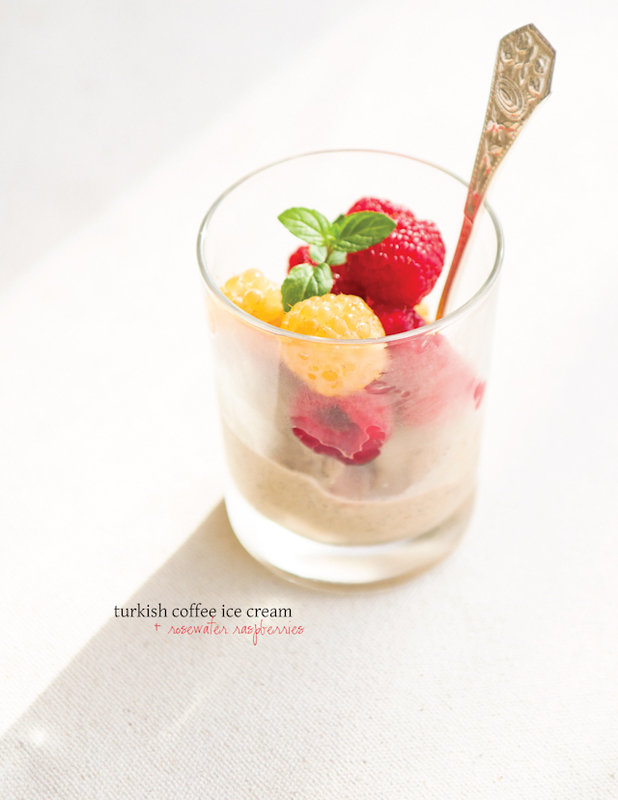 I love that these rosewater raspberries came to you in your dream, and I bet Turkish coffee ice-cream must pack quite a punch! Can't wait to hear all about your French Laundry experience!! This is one of those days that I lament my body's rejection of dairy. 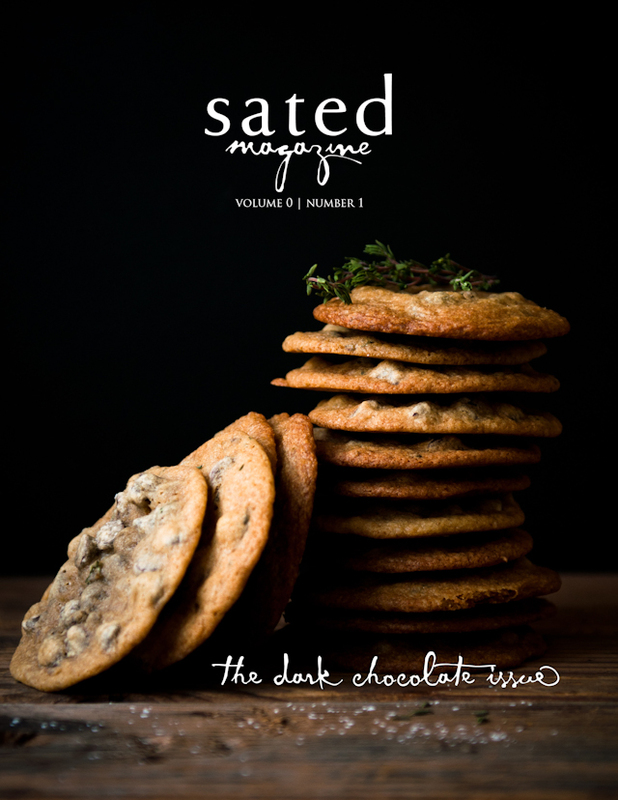 *sigh* Looks ridiculously delicious. What a gorgeous dessert! Your photos are incredible, and the it sounds (as well as looks) amazing. My mouth is watering! Ooh, looks so good. 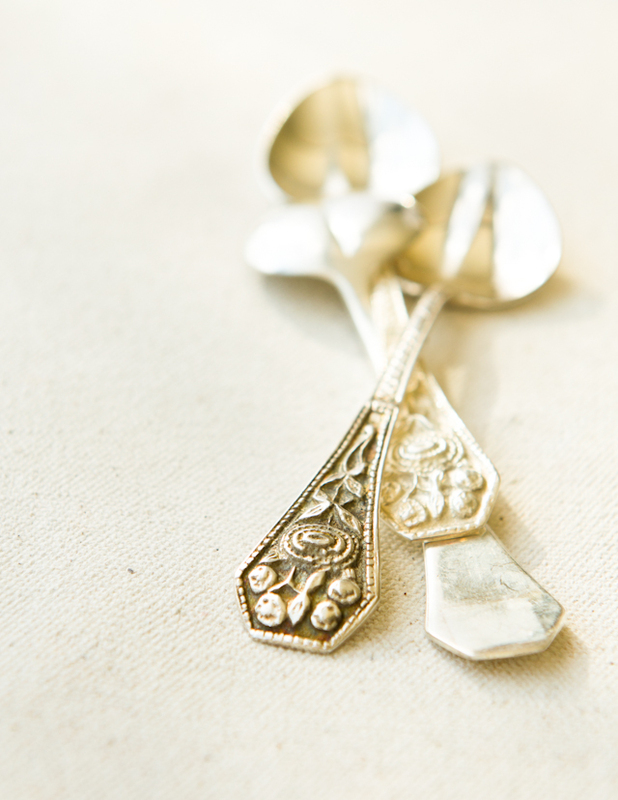 Love the spoons as much as the Ice Cream! Sigh, I can not wait to hear about your French Laundry experience. 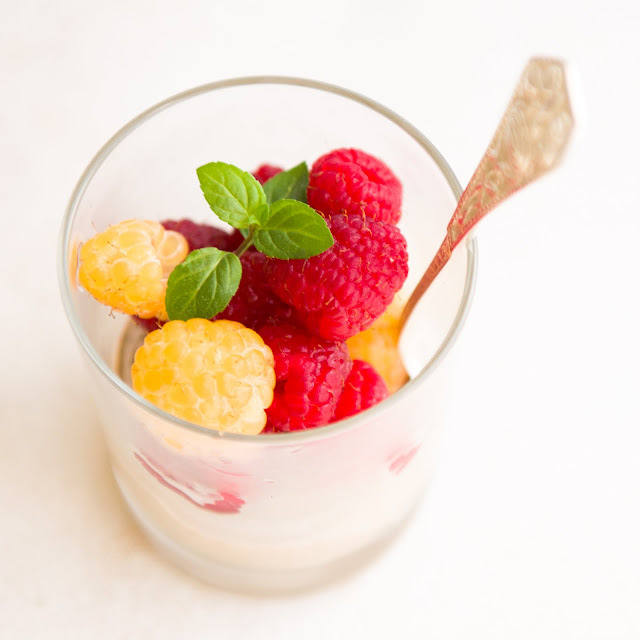 But I love your dreamlike inspiration for this gorgeous dessert. I have not had a rich cup of Turkish coffee in such a long time, but now I want both that and this ice cream. Brilliant. Oh yum. Yum yum. I love coffee in ice cream. 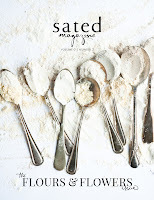 These recipes sound divine. I love coffee ice cream. I just had the privilege of dining at the French Laundry last week, too. I posted my review a few days ago. Such a wonderful experience. I can't wait to hear how it went for you. I have a client who went to French Laundry a while back and I think he split his visit up into about 4 posts - he loved it! 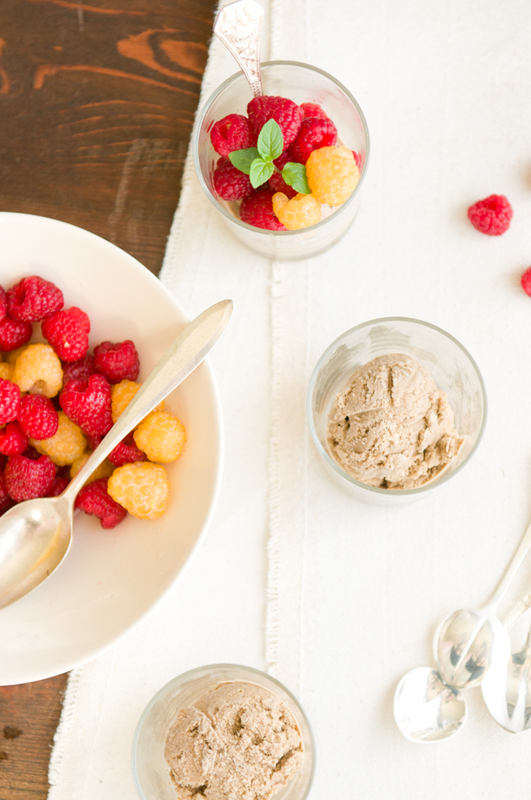 The raspberries are gorgeous - beautiful photos too... I love the yellow ones. I don't see those here very often. Good god this is gorgeous. 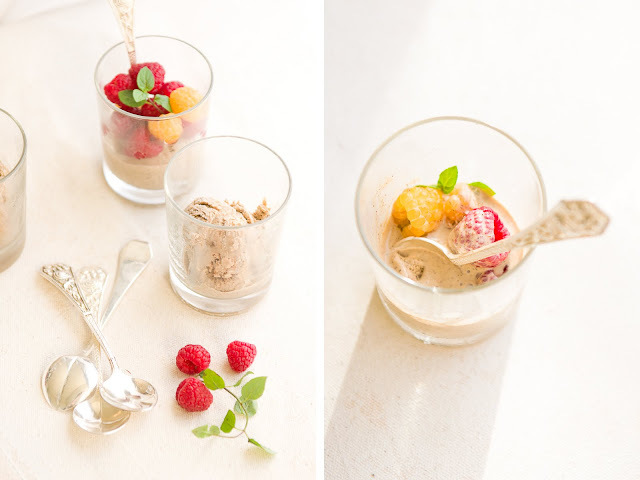 I don't even care about the ice cream - look at those raspberries! 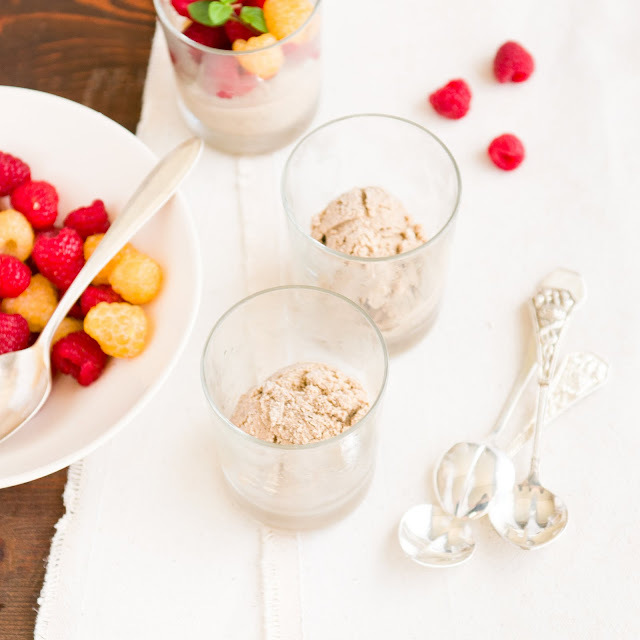 Those raspberries will give a twist crunchy feeling with the coffee. I want to try it. Marvelous ! The Dessert is looking stunningly beautiful. Its a treat to tummy & the eye as well. The silver cutlery is so lavish. The whole presentation is awesome & is provoking the appetite for the dessert.